Loans are a common thing nowadays, people apply for loans to buy a new car or to own a home. In some cases, loans can transpire between a financial institution such as a bank, they can also transpire between friends and families. 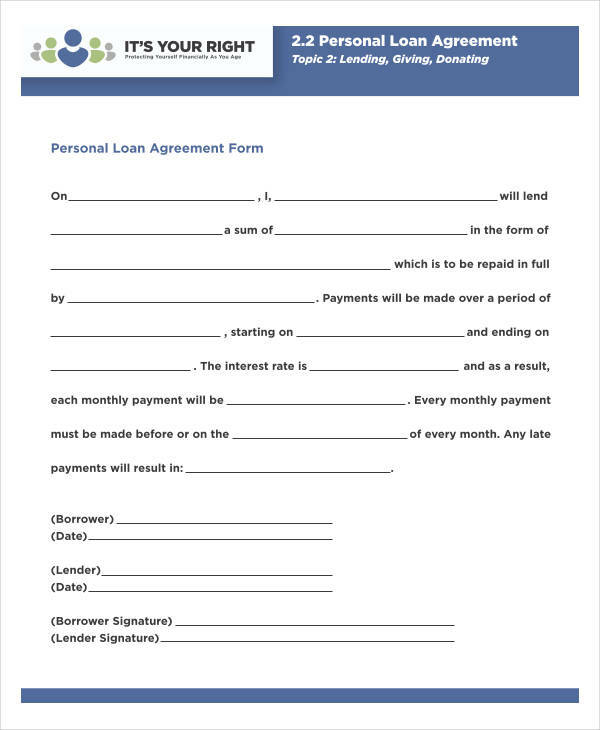 In the event when a loan is being processed, it is highly essential to have a loan agreement. 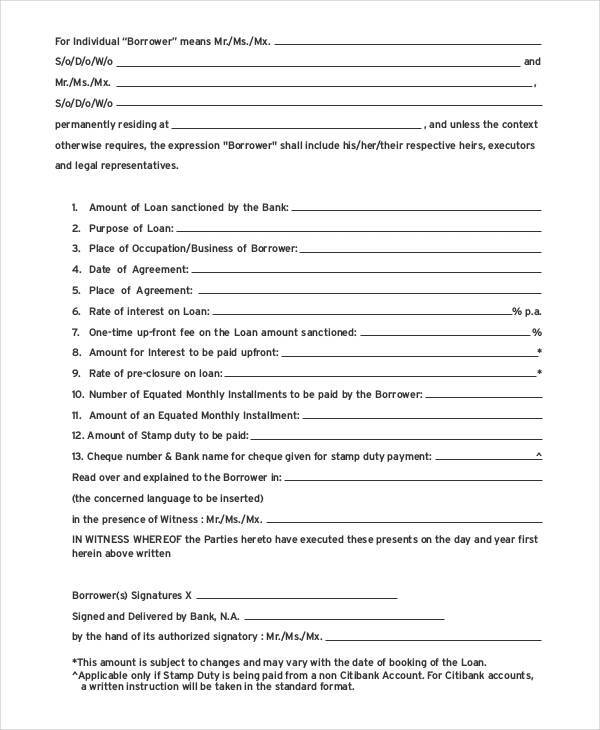 A loan agreement is a written contract made between a lender and a borrower. 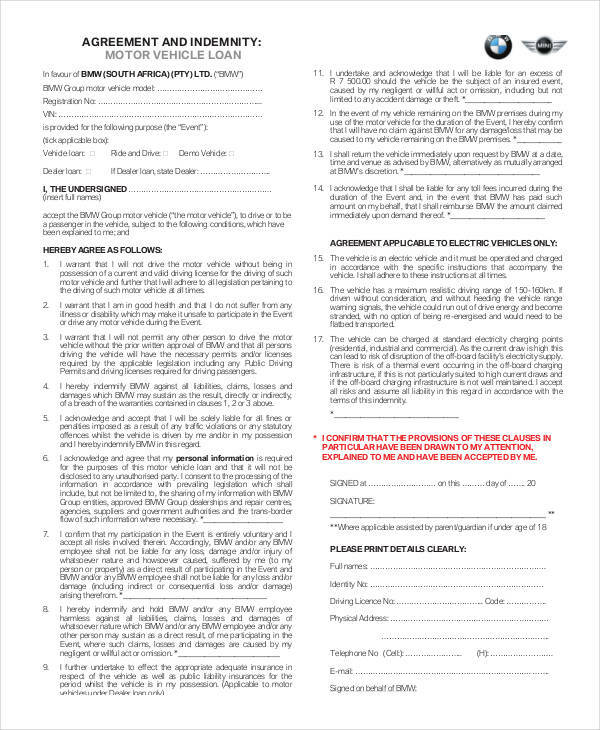 Loan agreements are created to ensure that both parties abide by the terms and conditions that have been laid out with regard to any type of requirement for the loan application to be processed, as well as terms made for repaying the loan. 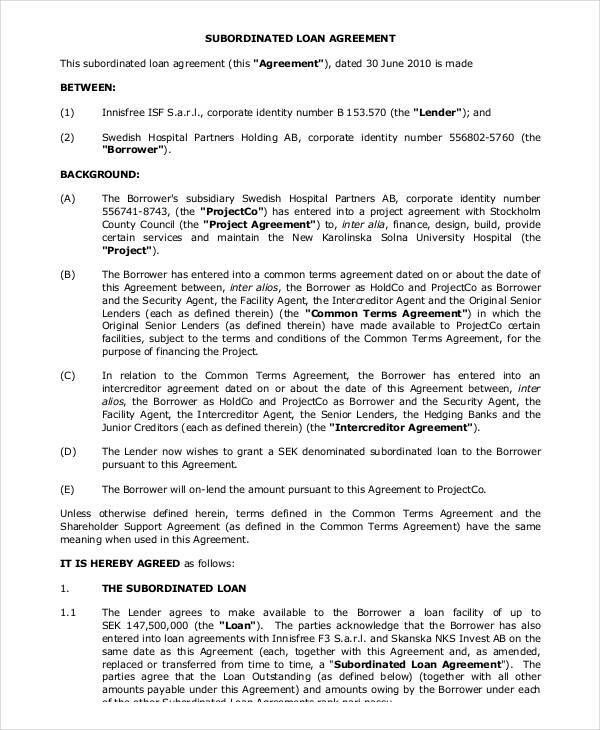 In any case, a loan agreement establishes the understanding that the money or the property that was provided was not a gift, but rather, it was something borrowed and needs to be repaid. More often than not, when a loan is applied through a financial institution or through cooperatives, it needs to be applied for. 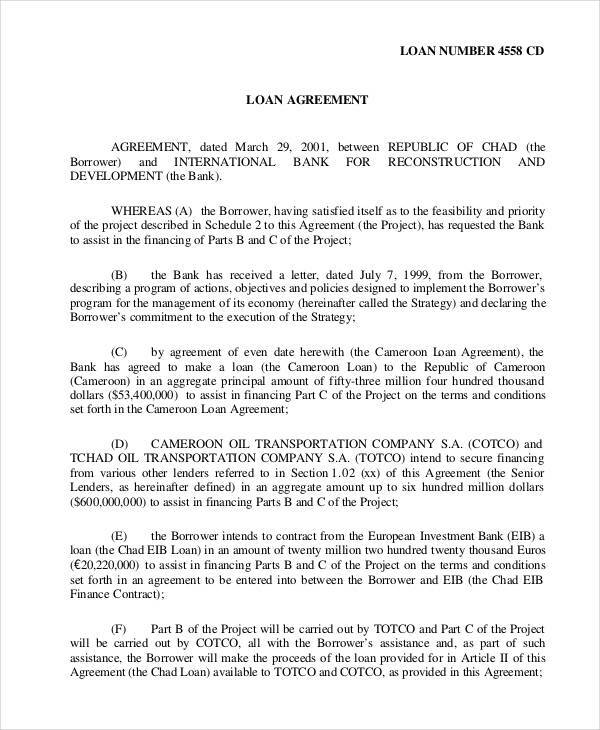 A list of requirements are then given, and the approval of the loan application will depend on the legitimacy of the requirements that have been submitted. In other times, a loan can be made between friends or family members. College students, for instance, sometimes need financial aid to help them start off. 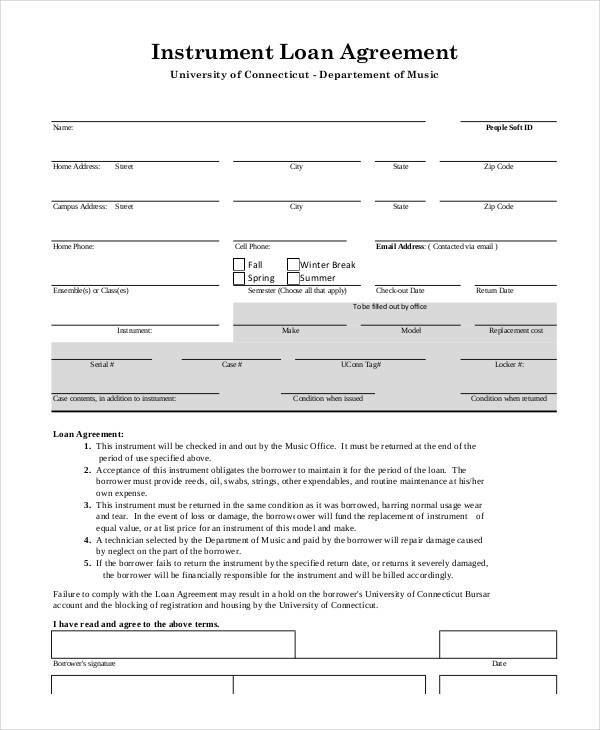 Some college students seek help from their parents by borrowing money, more often than not, these students also apply for a College Loan to help them pay off their tuition fees, school supplies, board and lodging, etc. 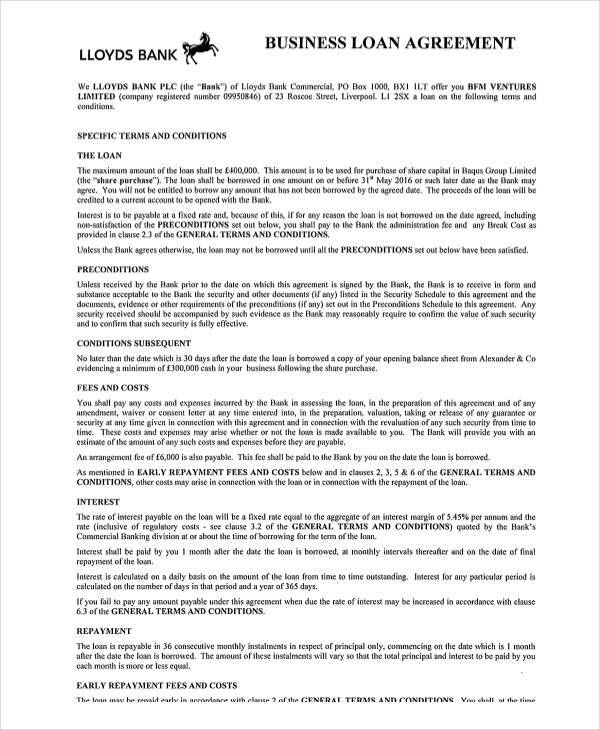 Because lending money is a big commitment for the borrower’s part and also requires a huge leap of faith for the lender’s part, a Loan Agreement helps to iron down certain rules and regulations to ensure that the lender is repaid. 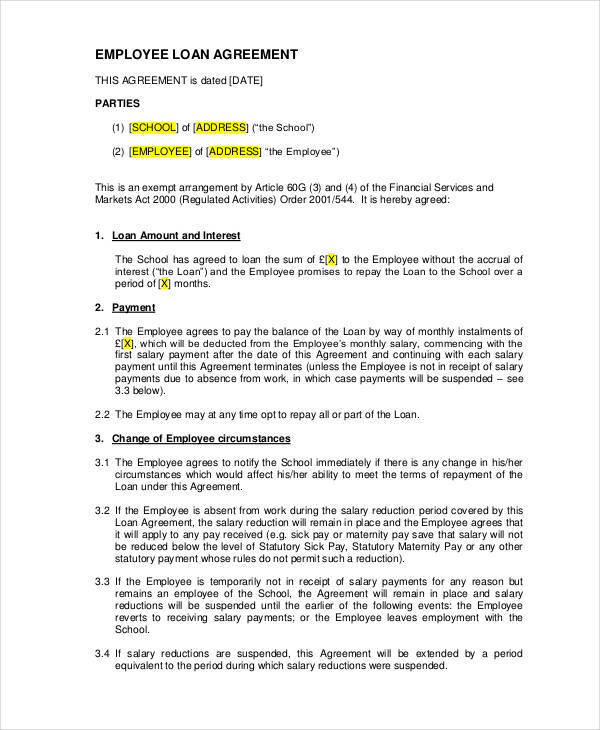 A Loan Agreement is similar to other types of Written Contracts and Business Agreements, they are legally binding. 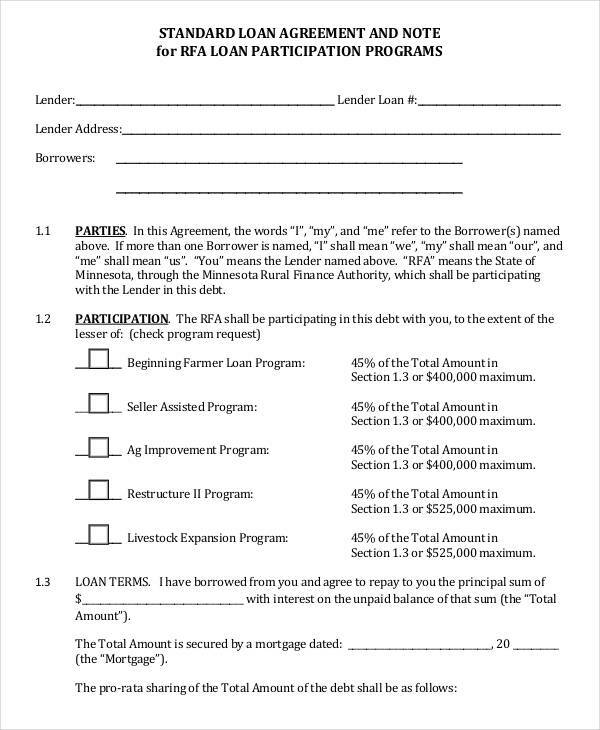 What Is Found In A Loan Agreement? 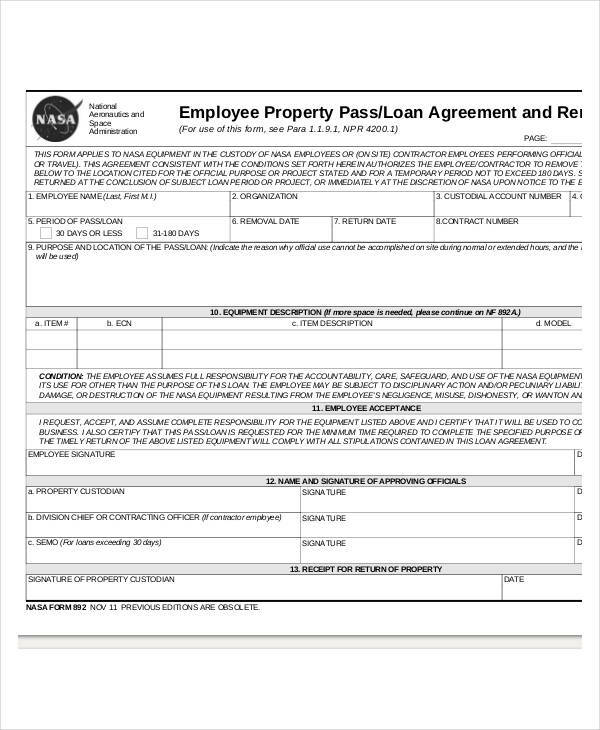 Loan agreements or loan contracts can differ in shape, type, and purpose. 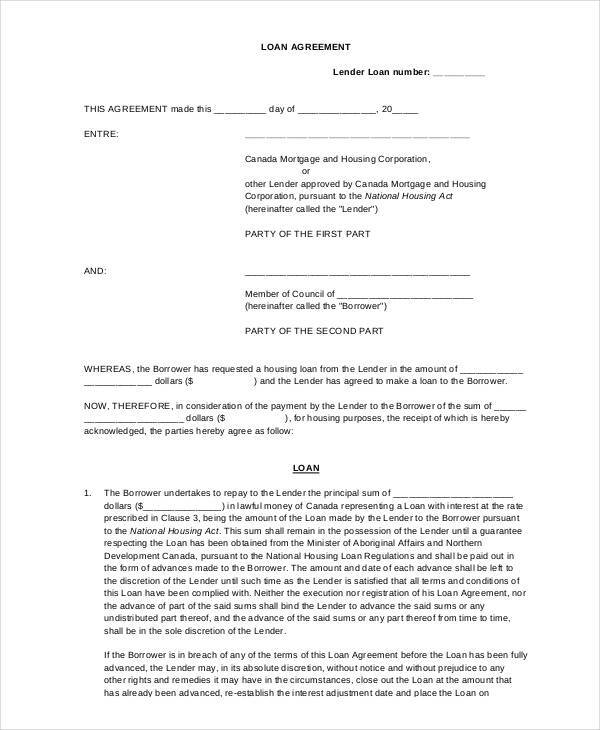 Some Agreement Contracts are designed for mortgages while others are tailored for auto loans, credit cards, personal loans, salary loans, etc. 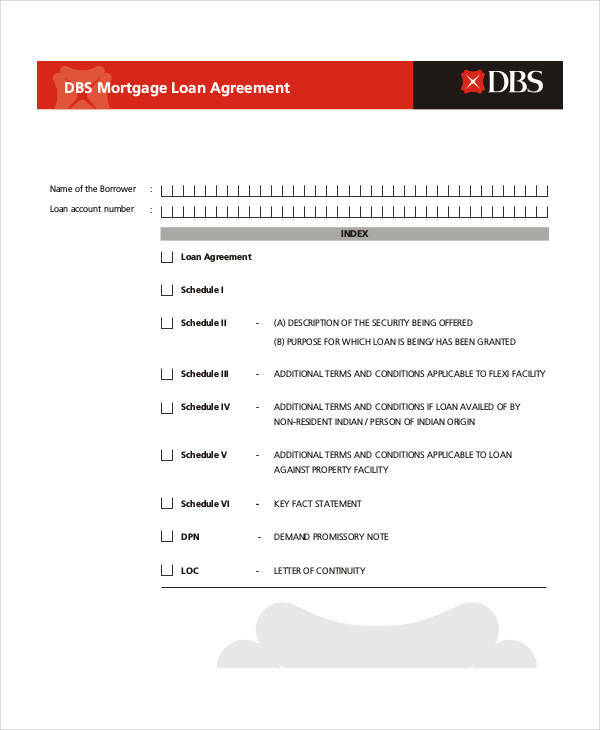 A mortgage or a housing loan application or agreement, for instance, will contain terms, conditions, and requirements that befit a mortgage loan. 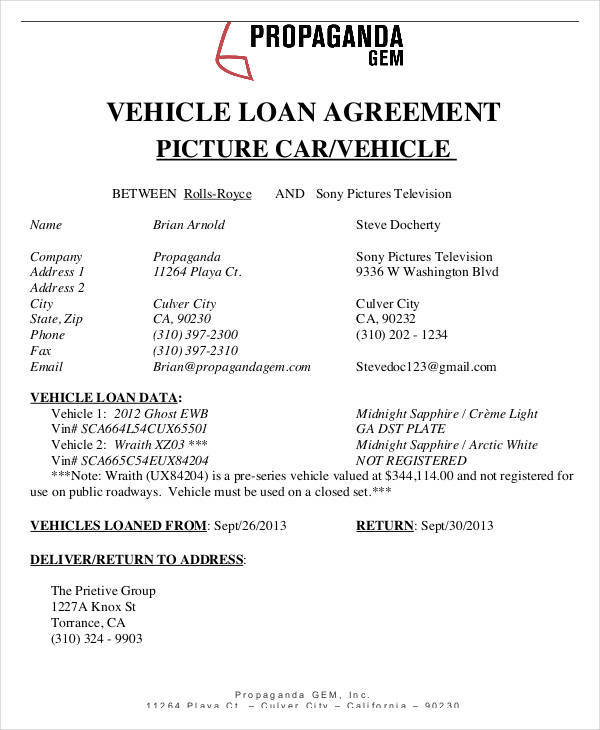 Options available for the agent who is processing the loan. 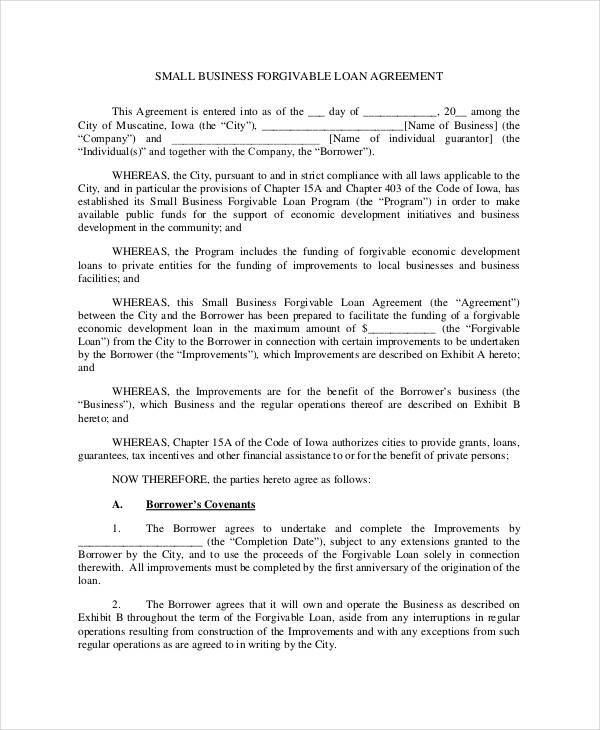 Why Is A Loan Agreement Necessary? 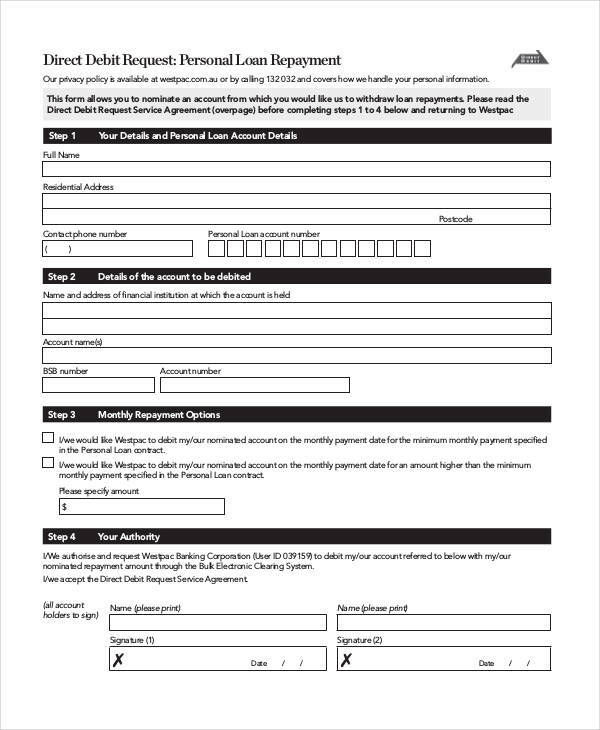 Loan agreements help to formally carry out the agreement of the lender and the borrower. Loans involve more than just a supplication of finances or property, it also involves interests and paperwork. 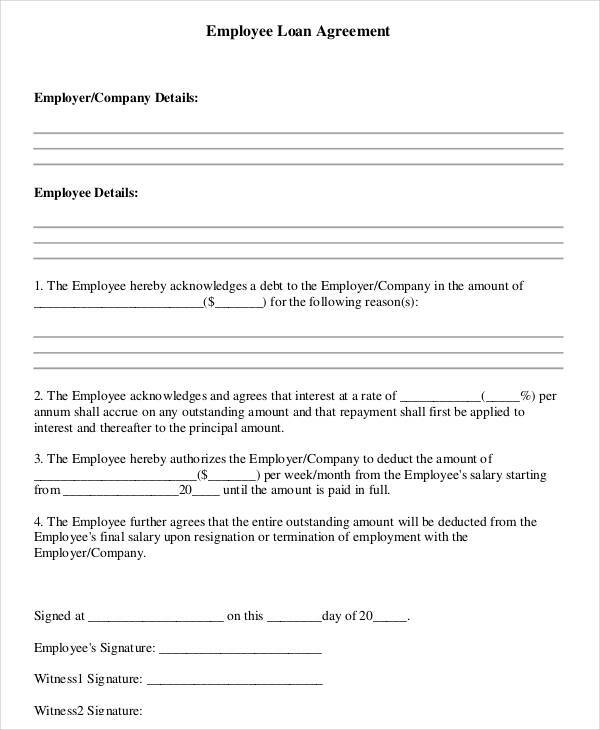 Having a written contract spells out the fact that the money provided should be repaid with interest and was not given out freely. 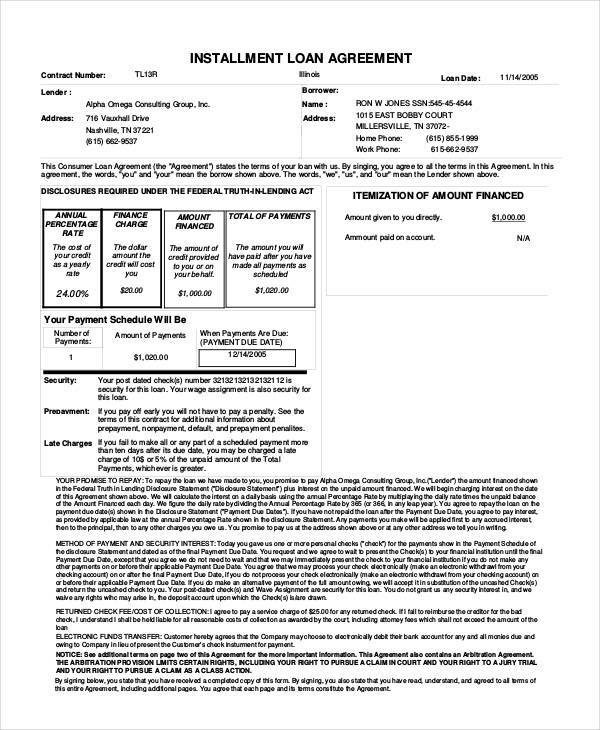 In some cases, wherein a loan is being processed through an unregistered financial organization, or, is an agreement between friends and families, the tendency is that they overcharge interests. This could potentially hurt the borrower’s financial status and capacity even more. Loan agreements should be drawn up in order to guarantee that lenders do not have an outrageous interest rate. When it comes to money, not everyone can be trusted. Especially if the person borrowing money is not related to you personally. 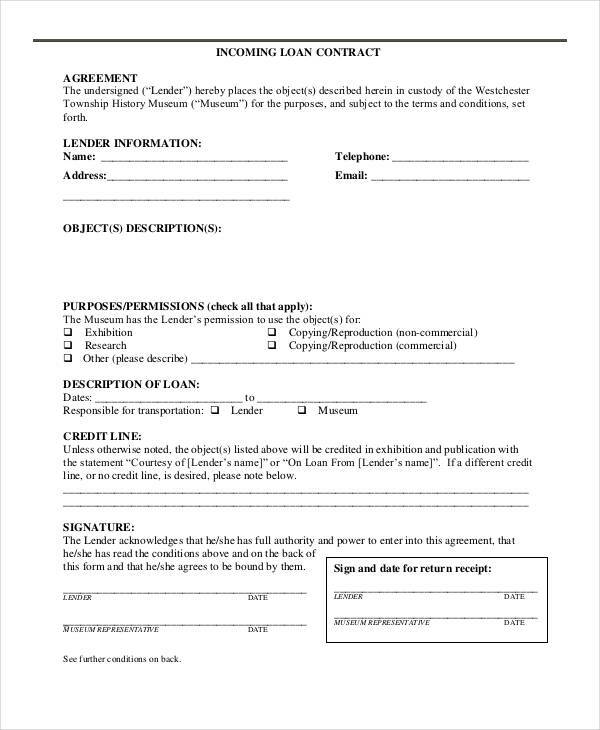 A loan agreement is useful for this purpose. Loan agreements act as a security blanket for lenders to make sure that the money they are lending will be repaid. If not, they can always seek legal help. 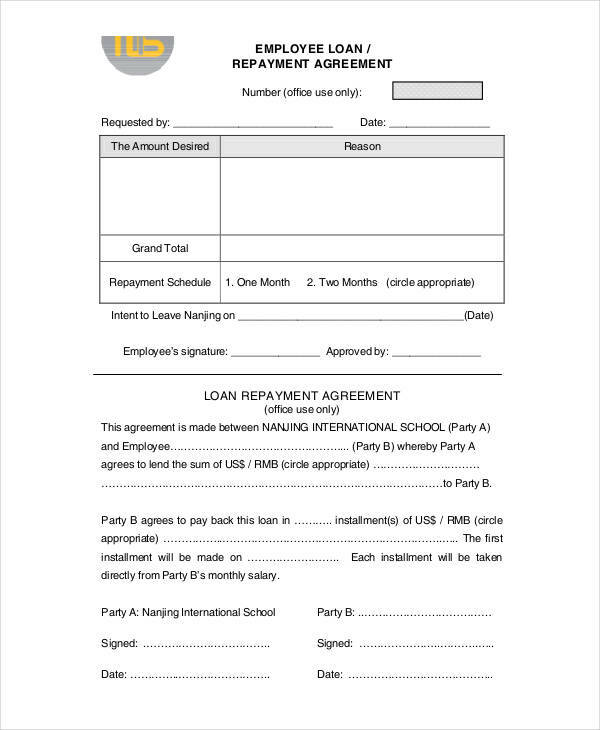 Loan agreements also help to lay out the ground rules pertaining to penalties, fines, interest rates, and repayment options. 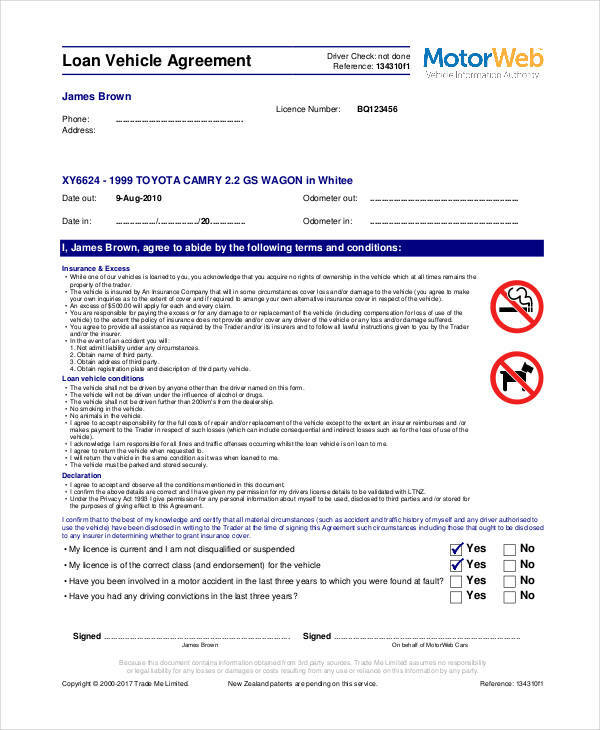 This helps the lender to set proper expectations for the borrower to avoid disputes and misunderstandings down the road. 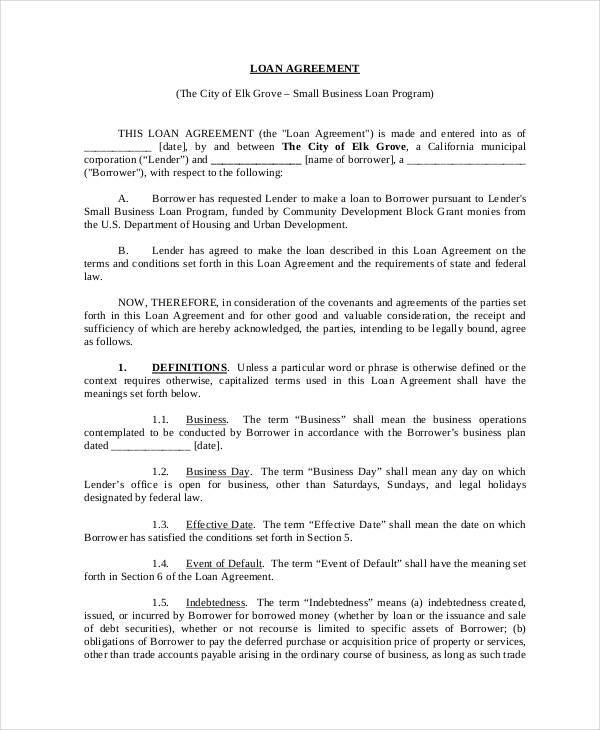 Having a written contract also serves as a tangible proof for the agreement and the understanding that has been negotiated by the borrower and the lender. 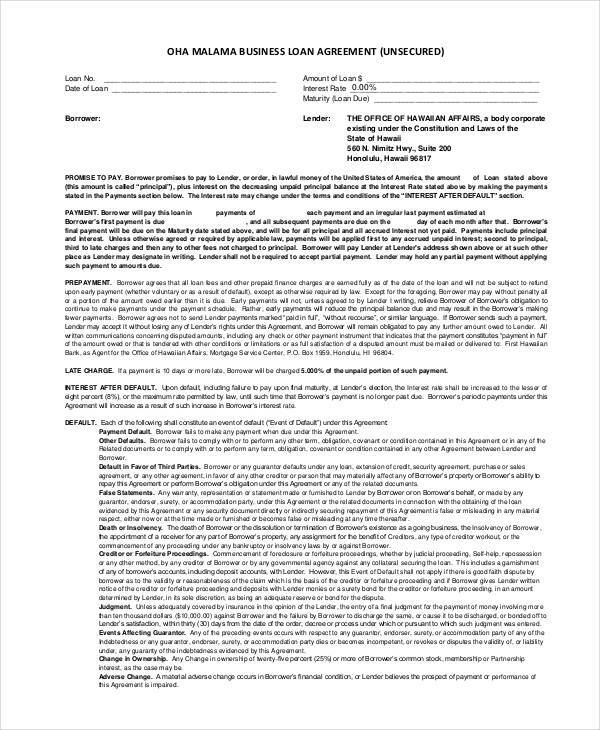 Marking or affixing their signatures on the contract signifies that they willfully agree to the terms and conditions of the agreement and agree to abide by it. State Laws. There is a broad range of laws mandated by the state and the federal government. 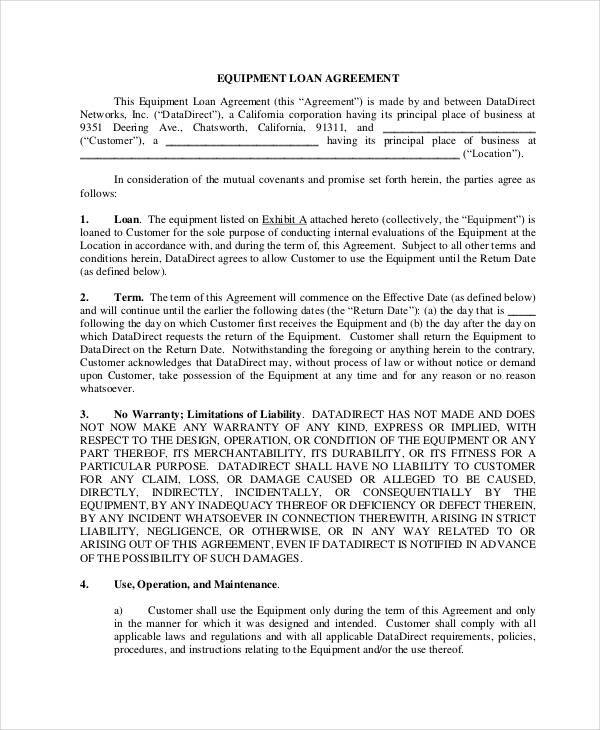 When creating any type of written contract, be it a loan agreement, a business contract, or a rental agreement, it is always a wise idea to check and identify the jurisdiction of a specific state so that there will not be any conflict of law. Severity Of Clause. This term means that the terms instilled within a contract are not dependent on each other and should not be taken as a whole. 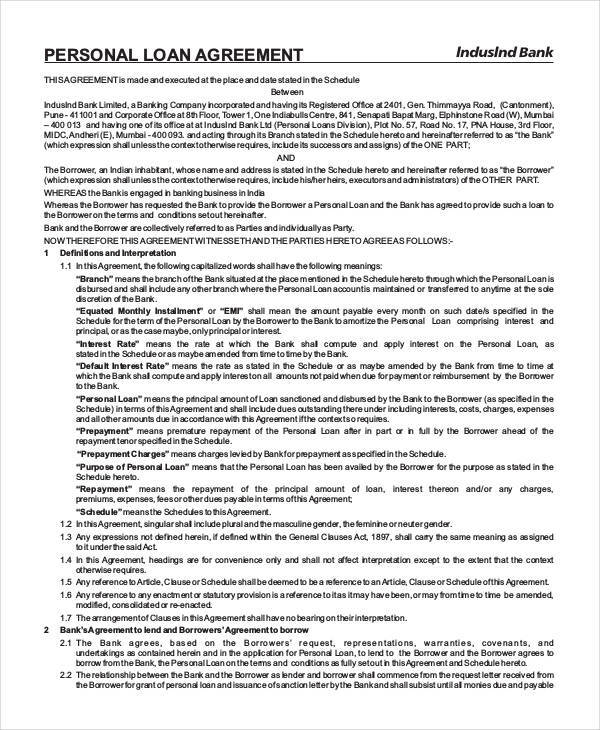 Meaning that, if one condition of the contract is not acknowledged by a court, only that portion of the contract is unenforceable and not the whole agreement. 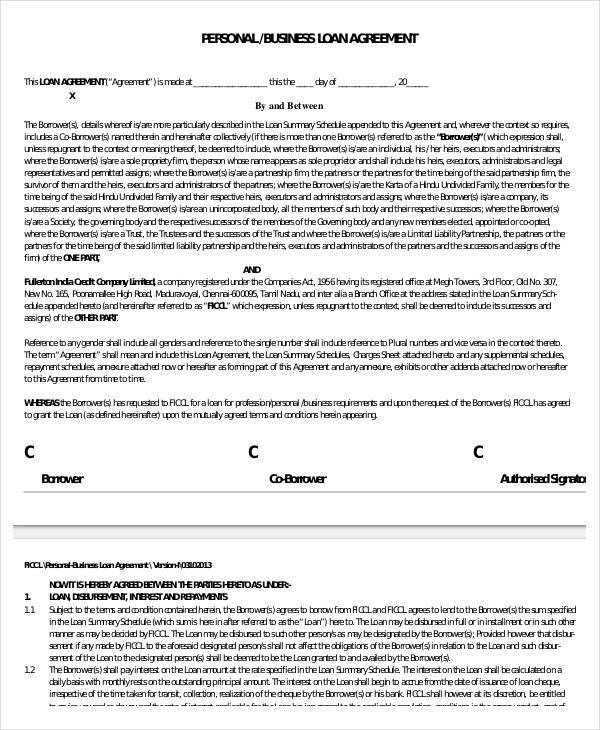 Entire Agreement Clause. 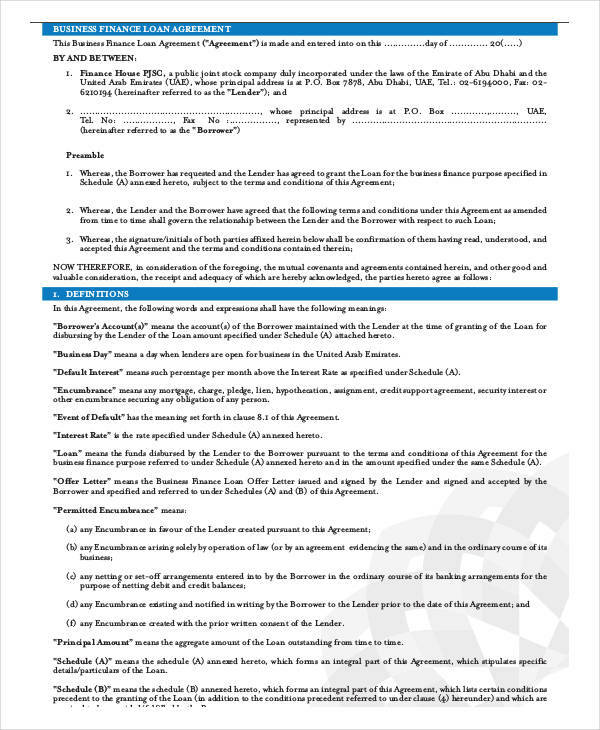 This portion of a Loan Agreement is aimed to overrule any type of agreement or negotiations that were made or discussed prior to the signing of the Agreement Form. 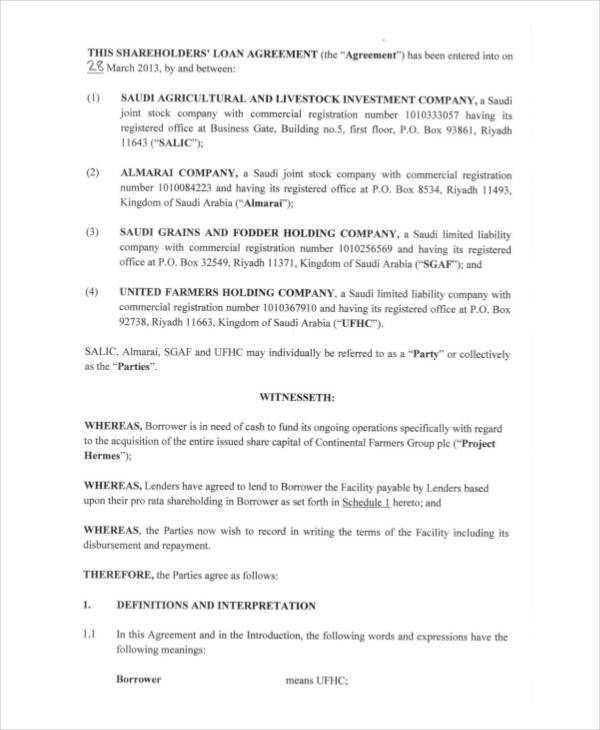 Which means to say, that, whatever terms or conditions mentioned prior to the construction of the written contract is deemed inconsequential. An interest rate is the part of a loan that is being billed to the person borrowing the money. 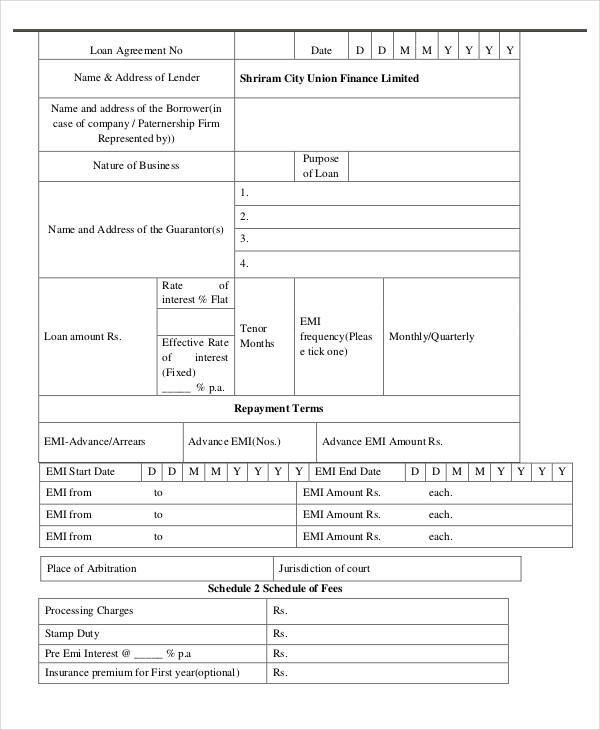 This is usually shown in a percentile format and is taken from the total amount of the loan. Interests rates are often computed with the use of an amortization chart. Lenders however, are discouraged from providing ostentatious interest rates to borrowers. Certain state and federal laws are being mandated in order to protect borrowers from lenders who illegally or excessively charge interest rates. Because a lot of financial organizations wish to secure themselves further, they usually provide other ways of ensuring that the money being lent is paid back. This type of loan is referred to as a secured loan. Secured loans are loans that use assets as a form of security blanket. These assets are considered to be the collateral for a loan. 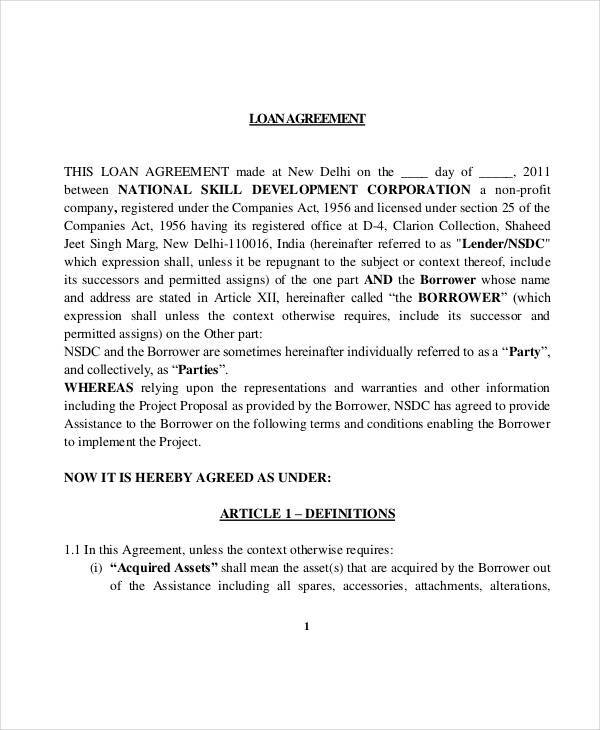 If the borrower makes a default in payment, or is not able to catch up with the payment schedules of the loan, the financial organization will then seize the asset. The collateral will then be auctioned and sold in order to pay off a portion of the loan. If selling price of the seized property does not cover the full amount of the loan’s balance, then the difference will have to be paid off by the borrower out-of-pocket. Loans such as personal loans, salary loans and college loans are examples of unsecured loans. Because these types of loans do not have an asset that could be sold if the borrower makes a default in payment, the filing, processing, and approval procedures of these loans are usually more stringent compared to those of a secured loan. 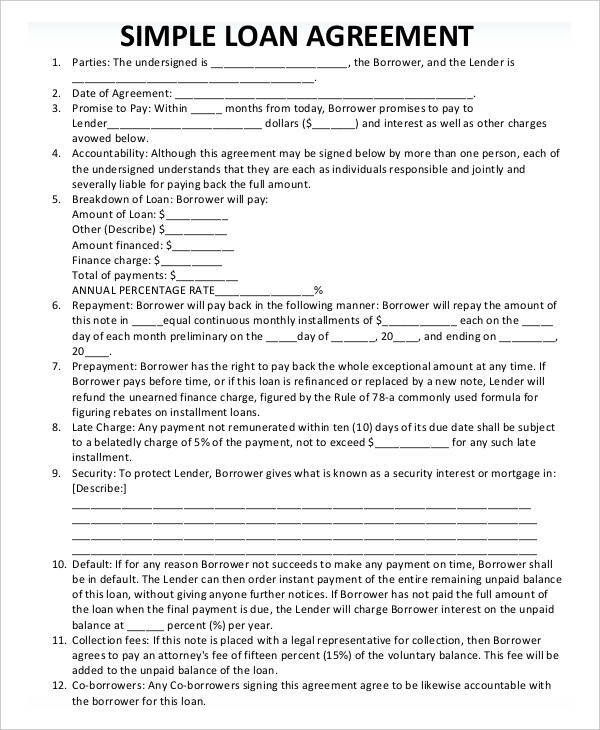 How Long Does A Loan Contract Last? 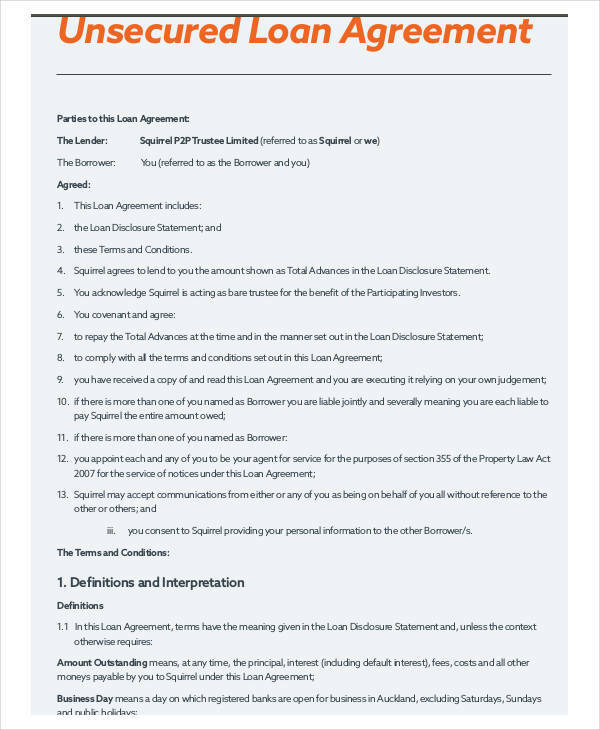 The validity of a loan agreement lasts until the loan is being paid for. This usually depends on the payment schedules that have been set forth or the schedule of the amortization. The initial process starts off with an identification of how much money exactly is to be borrowed. 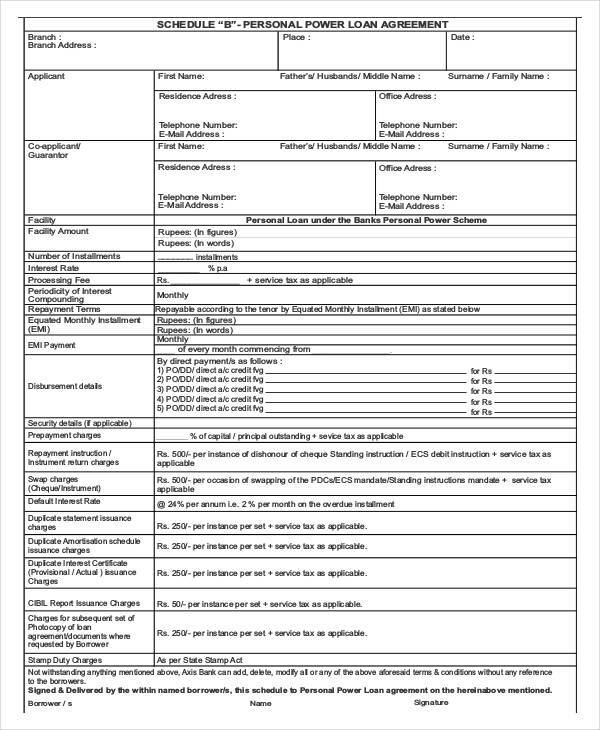 After which, the schedule of payment will be computed with the use of an amortization chart. In most cases, the interest rate is divided among the total number of payment installments, which means that, the quicker it takes for a borrower to repay the loan, the lesser amount of interest is incurred. However, this also needs to be clarified. 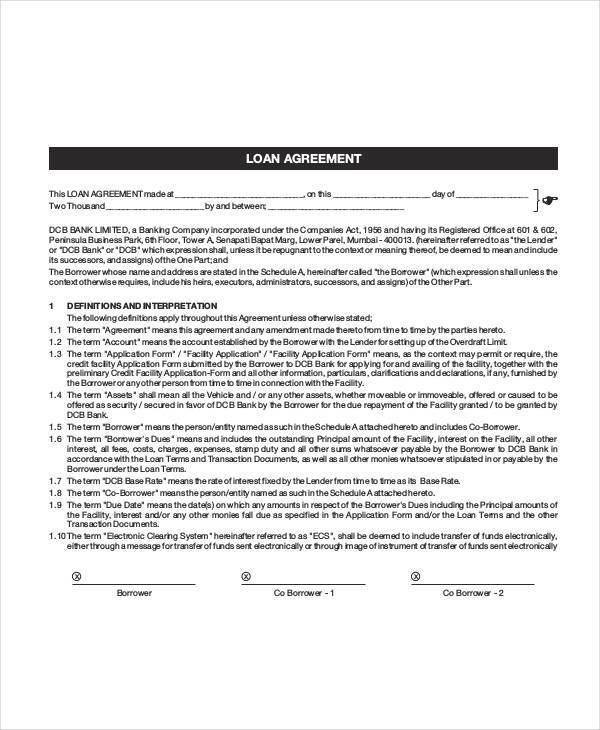 Some loan agencies and loan agreements contain clauses and conditions that makes paying early and swiftly, a disadvantage This is usually referred to as a pre-payment fee to ensure that they get a remarkable amount of profit for a loan.